Community architecture has emerged as a powerful force for change in the way people all over the world are creating their own homes, neighbourhoods and cities. The basic principle is simple: the built environment works better if the people who use it are directly and actively involved in its creation and management. The movement embraces planning, development, landscape, art and design as well as architecture and other forms of technical aid. It has brought together an extraordinary alliance of community groups, professionals, church leaders and politicians of all parties – and caused major ructions in the professions as a result. 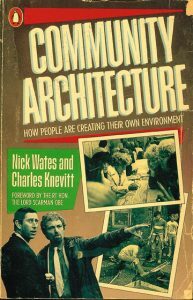 Charles Knevitt and Nick Wates wrote and broadcast on the development of the Community Architecture movement for over ten years before writing this book – the first on the subject. It explains how and why Community Architecture works and reveals the full story of the quiet revolution which provides hope for communities everywhere. Foreword by the Rt Hon The Lord Scarman OBE. See also the 2013 Routledge Revivals edition.